(either Ninawa or Diyala province). 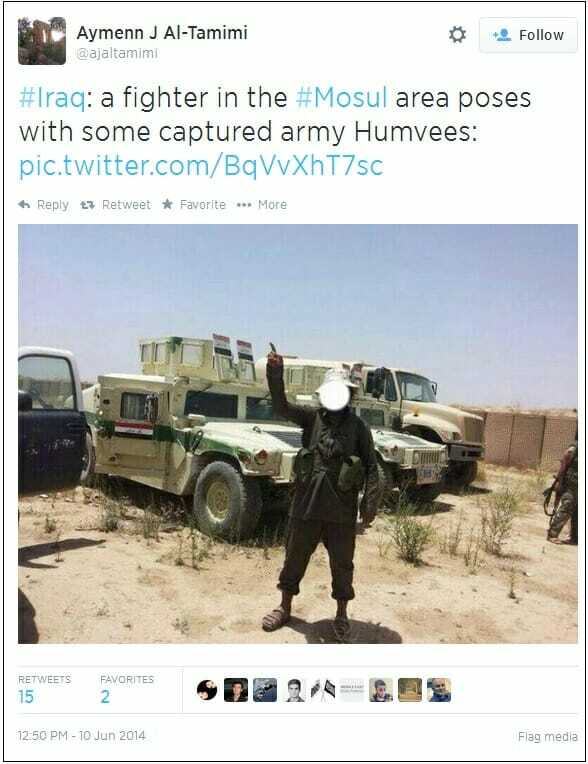 Al-Qaeda-linked ISIS posted photos earlier this week of a fleet of US humvees captured in Mosul. An Al-Qaeda fighter stands with captured humvees near Mosul. 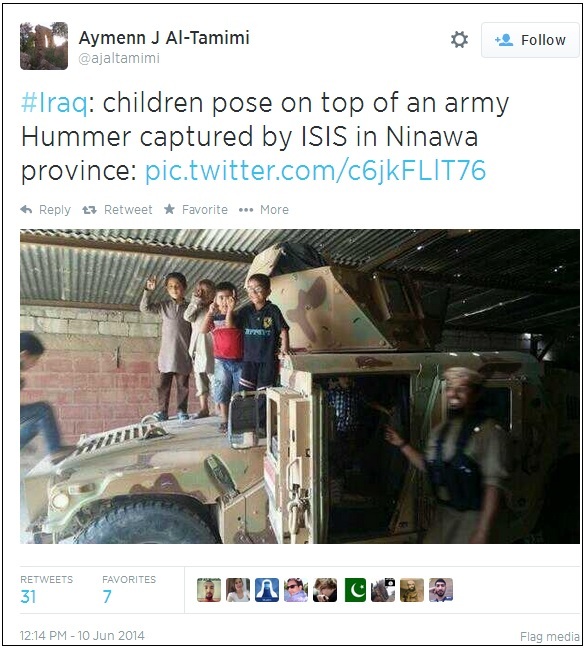 The kids posed on top of the captured US humvees, too.